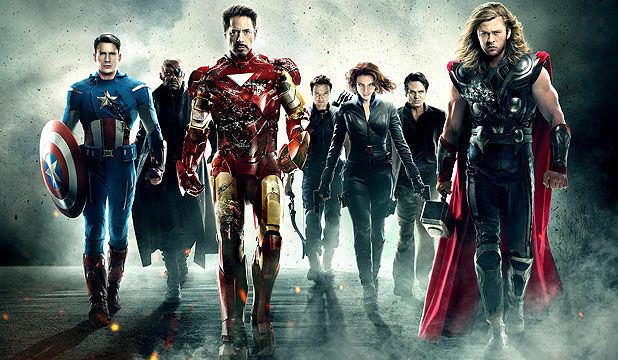 The arrival of Avengers: Age of Ultron ads has seen an influx of trailer mash-ups, knockoffs and remakes on YouTube. Fan anticipation is high for the May 2015 sequel and it has inspired lots of fan-made material. The latest comes in the form of the first Avengers trailer done in the style of Zack Snyder’s Watchmen. The mashup trailer comes courtesy of YouTuber The Unusual Suspect, and features the Smashing Pumpkins track “The Beginning Is The End Is The Beginning,” which was used in the original Watchmen trailer. Not sure what compelled The Unusual Suspect to combine the two, unless it was his secret plan to have viewers want to watch both movies back to back. Anyway, here it is in all its mash-up glory. For more mash-up goodness, The Unusual Suspect has another Avengers-related ad, only it is Star Wars done in the style of Avengers: Age of Ultron trailer with Darth as Ultron. Want something different, he also shows what Harry Potter would look like if he acted more like Scott Pilgrim.